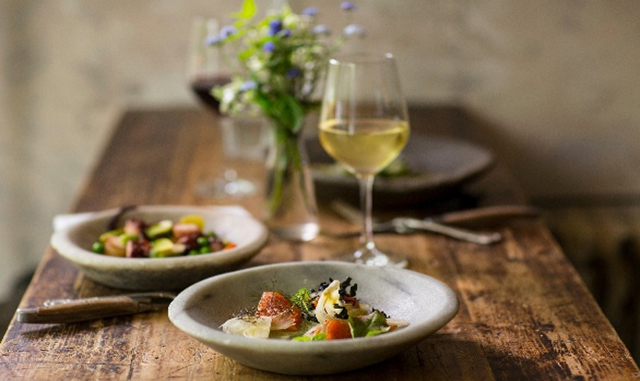 The renowned "Taste of Place" series is kicking off at SHED Healdsburg on January 19th. Join fellow wine and food lovers for an intimate experience over artisanal cuisine and Sonoma wine. Savor a gourmet four-course dinner expertly paired with Daniel wines for an unforgettable evening. Built around the small-production wines that Daniel is famous for, the meal captures the spirit of the relationship between winemaker and grower. "Taste of Place" is an annual series hosted by SHED Healdsburg that focuses on the terroir of Sonoma County. As you dine on gourmet cuisine, you can learn about the history and philosophy of chefs and winemakers who inspire the Sonoma County dining scene. Throughout the meal, local wine producers, farmers, and chefs will share their thoughts and offer unique insight into the ingredients they are presenting. Tickets for this truly remarkable dining experience are $115 and can be purchased online. "Taste of Place" events can sell out early, so make sure to buy your tickets ahead of time and plan your trip to Sonoma County. Our beautiful wine country hotel makes a wonderful getaway destination. Arrive for this exclusive event on Thursday, January 19th and spend the rest of the weekend touring nearby wineries and relaxing at our hotel. SHED Healdsburg is located in charming Downtown Healdsburg. From our wine country inn, you can drive to SHED in less than five minutes.